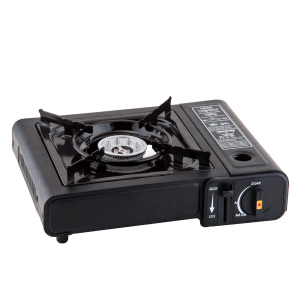 Description: Use this portable butane stove for your on-the-go cooking needs! This portable butane stove is designed to offer you reliable outdoor and indoor commercial use. Powerful and energy efficient with a high heat output of 10,000 BTU per hour, this portable stove has an in-line regulator with a pressure sensing shut-off feature and an automatic piezo electronic ignition system. From boil to simmer, this portable butane stove has an adjustable heat range based on your cooking and heating needs. It’s a great choice for omelet stations and presentation dishes prepared at the table. ETL certified for indoor use in commercial restaurants. What Is Diablo Butane Cooking Fuel?